Although most ceramic studies describe vessel production and use, the causes and rates of pottery discard are often neglected in archaeological studies. Michael Shott presents analytical methods for determining pottery use life and demonstrates why use life should not be overlooked. 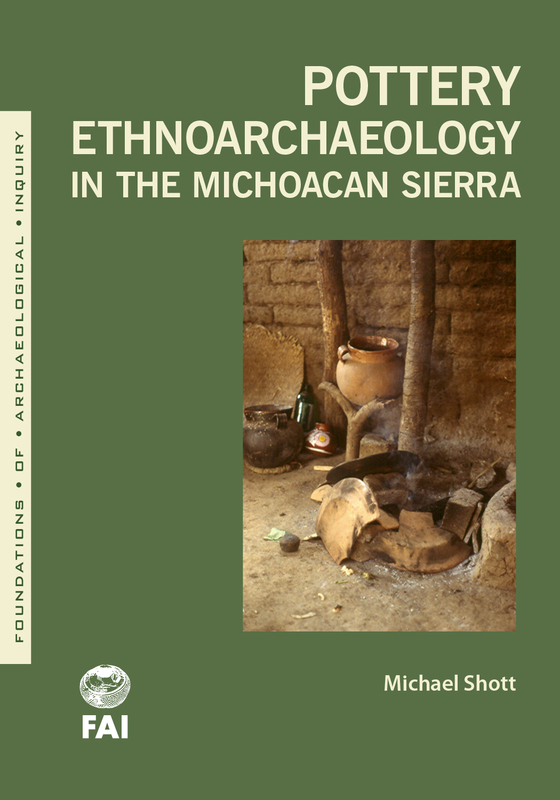 Over a five-year period Shott inventoried the household pottery of about twenty-five homes in five towns in Michoacán, Mexico, recording age and types of use. He also looked at a subsample on a monthly basis over two years to estimate the magnitude of early vessel failure that would go unnoticed in an annual census. His analysis of about 900 vessels clearly shows that context does not explain use life, but vessel size does. Bigger pots last longer. Consulting other ethnoarchaeological sources for comparison and cross-cultural perspectives, Shott shows that his results can be applied to other archaeological datasets for determining numbers of original whole vessels as well as site occupation span. Michael J. Shott is a professor of the Department of Anthropology at the University of Akron. His research focuses on methods of stone-tool analysis and how the archaeological record formed. He has published three monographs and several edited volumes, including Works in Stone: Contemporary Perspectives on Lithic Analysis (University of Utah Press, 2015).